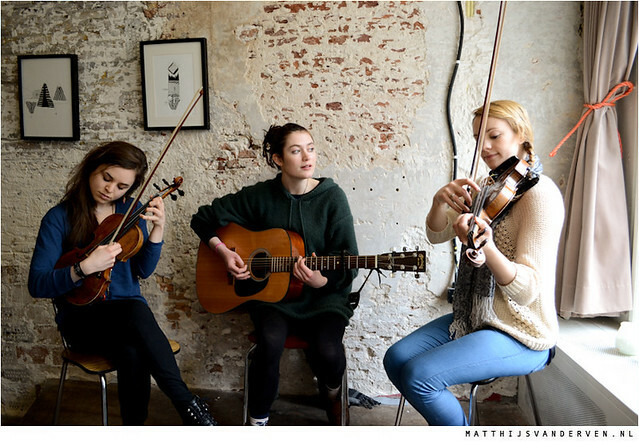 Rachel Sermanni‘s music has been in my favorites ever since a friend from Glasgow played me one of her songs. From that moment on, I’ve been meaning to organize a session. Luckily two weeks ago our schedules made it possible and we recorded these videos in the EKKO café in Utrecht. Sermanni’s shows are a perfect mixture of humor and great songs, mostly off her debut album ‘Under Mountains’ from 2012. The songs on the album go from intimate (e.g. ‘Little Prayer’ and ‘Sleep’) to more upbeat (‘The Fog’, ‘Bones’). All the while her voice won’t let you out of its grip. To top it off the sharp lyrics should be enough to get you to listen.